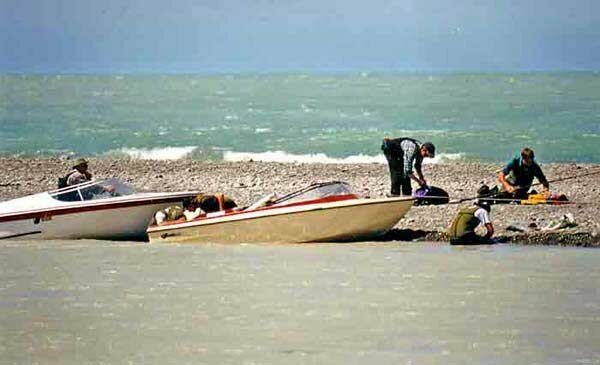 The Waitaki River is regarded by salmon anglers as “big water.” The mighty Waitaki frequently carries the most water of any of the big east coast salmon rivers. The Waitaki River sits on the border between Canterbury and Otago. For the purpose of simplicity, we are going to say, it is in Otago. 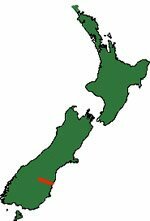 However, some of the Waitaki River headwaters are in Canterbury. 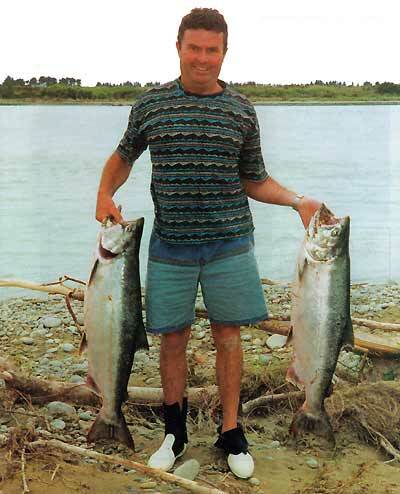 Each season the Waitaki River yields some very big fish. 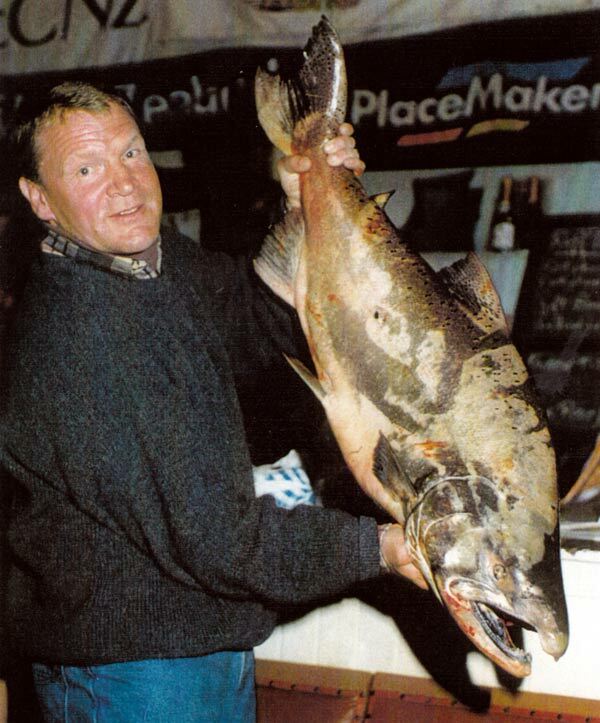 Some of which are over 40lb (18kg). To some extent, ECNZ can regulate the river’s flow from the hydroelectricity generation system up in the headwaters. 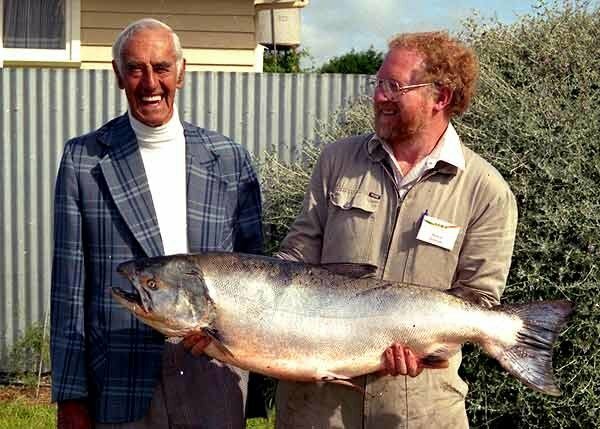 Up until about a decade ago, there was a four-day salmon fishing contest held in the Waitaki River during March each year. 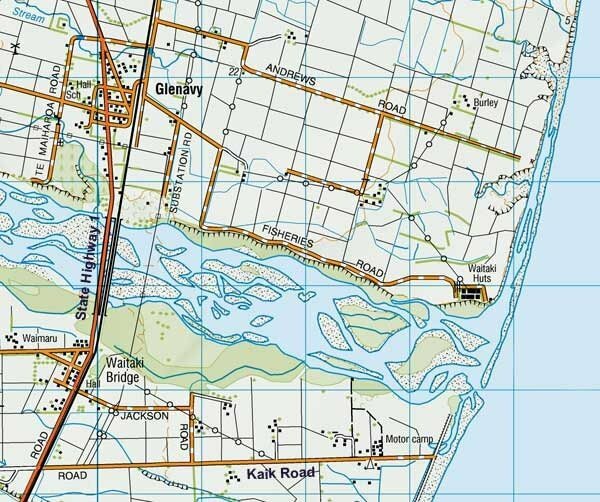 The competition was centred around the hall at Glenavy on State Highway One. From here contestants would fish for 28 kilometres upstream from the mouth. 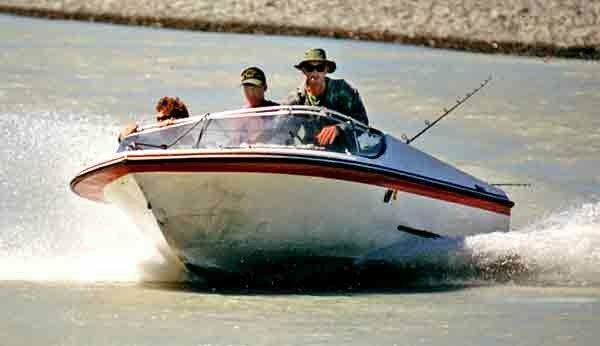 As described above, the Waitaki River offers big water with plenty of space to find a likely looking hole. The gut near the mouth is usually extensive. Here the water is fast moving, deep, and wide, as the many braids and channels come together to form a single gut where the river enters the sea. Sea conditions permitting, many anglers prefer to fish on the seaward side of the long shingle spit which divides the gut from the sea. 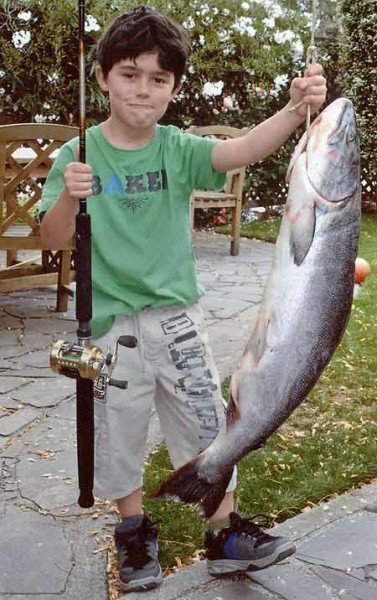 Here long 12’0″ (3.66m) rods are the preferred tackle. With ticers, particularly weight-forward ones, being the most fished hardware. 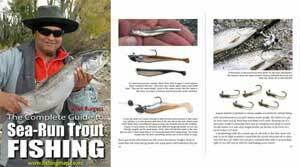 In the gut itself most add a heavy lead weight (2-3oz) a metre above their lure in order to get down to where the fish are in this fast flowing channel. Many also use double Zed spinners for the same reason. 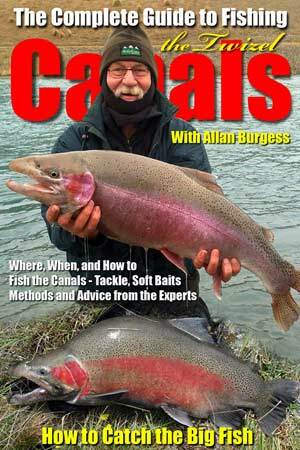 Other good choices are Colorado blade spinners and feathered lures taken down with a lead weight as described. The later lures tend not to plane to the surface like a Zed spinner. Upstream the Zed spinner is by far the most popular terminal tackle. 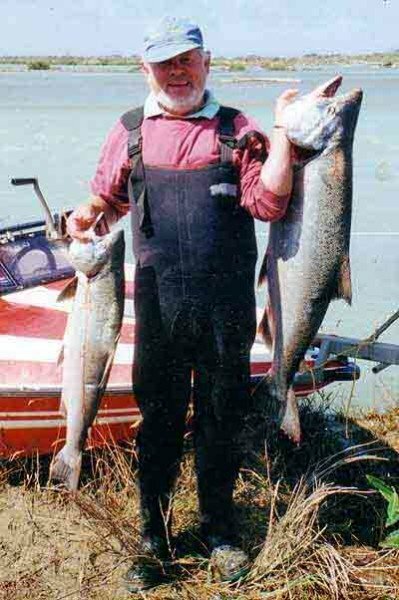 He made four trips to the United States and Canada. On each trip, he returned to New Zealand with one million eggs. On another occasion when he was not able to make the trip, his son Charles brought in a similar shipment. 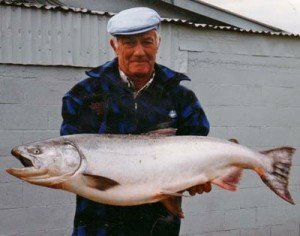 Charles Ayson was in charge of the Salmon Hatcheries for thirty years while ova were hatched and distributed in the various rivers. 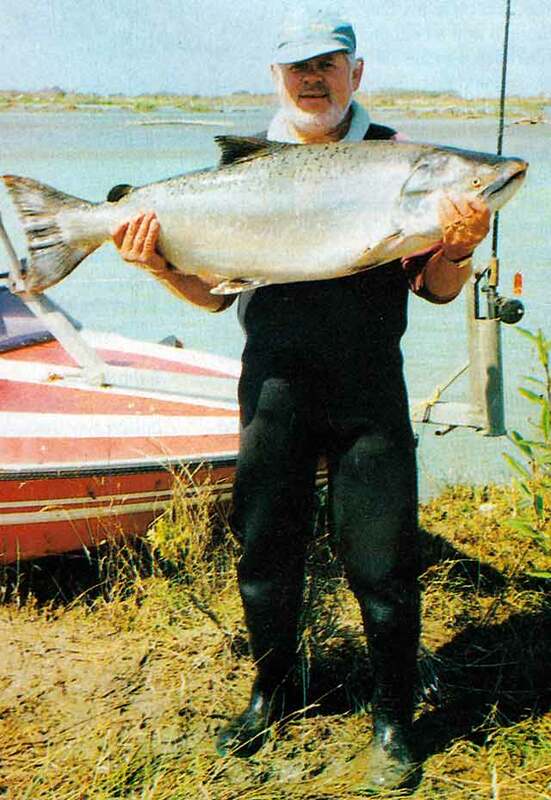 A 12 lb hen salmon which returned to the Waitaki in 1905 became the first to be trapped. 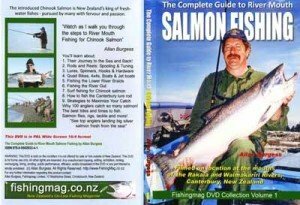 The following year 17 fish were trapped in the Hakataramea River. From then on the numbers returning each year steadily increased.